While her rock-star boyfriend tours Japan with the band, Stephanie and Luke's quest becomes personal as they follow an increasingly perilous trail that leads from Oxford to London, Paris and Venice. 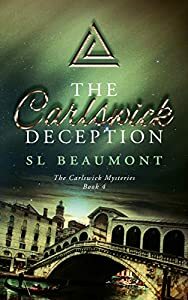 If you like Kathy Reichs, Linda Fairstein and Veronica Mars then you’ll love The Carlswick Deception, a novel that combines mystery, romance and history in a fast paced, action packed adventure. Buy now to read this epic mystery today! A Young Adult (YA) horror mystery. 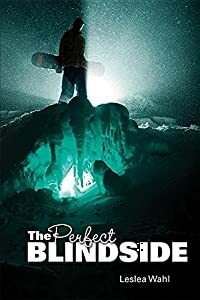 Shana Murphy’s life shatters as her family abruptly relocates from her hometown of Boston to the isolated, foggy town of Noxhelm. 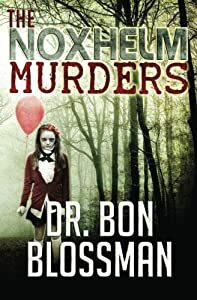 A mob child living under the Witness Protection Program, Shana’s hardened exterior fades away after moving into Ripper House – a haunted estate built by a notorious serial killer in the roaring twenties. Legend has it that every family who has dared to inhabit the old house has been plagued with insanity, despair, and death. When a local teen is found dead, Shana is branded as the prime suspect. To prove her innocence, she must face her inner demons, as well as the ones living in her attic. He's an egotistical snowboarder with a silver medal. She's a judgmental honors student with a flair for photography. Faking It reunites best friends, Will and Rachel, who first appeared in You Will Come Back, winner of the Mayhaven Award for Children’s Fiction. 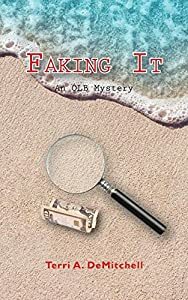 But, in the new OLB Mystery Series, they are older and finding that it is often difficult to tell the good guys from the bad. In Faking It, the young teens stumble into another predicament. Two years earlier, counterfeit bills circulated in their New England beach resort town and the police narrowed the list of suspects to three families. Now, the bills have surfaced again. The townspeople have some suspicions and Will and Rachel have their own as they investigate the counterfeiting incidents and try to catch the perpetrators in the act. Home after having escaped the gallows for spying on the Confederacy, Jana Brady returns to Virginia in search of her soldier-sweetheart, Keeley Cassidy, who is missing from battle. She finds him suffering from amnesia, and she brings him to the Brady farm to recover. Months pass and Keeley's inability to remember their love or fall in love with Jana all over again constantly frustrates her and confuses him. To give Keeley some breathing room, Jana agrees to travel around New York speaking about her time in uniform. She hops aboard her Train to Glory with high hopes of advancing the cause for women's suffrage and equal rights. Jana is kidnapped, and further scare tactics beyond her release attempt to thwart her ultimate goal of speaking before the 88th state legislature. 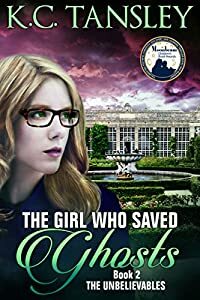 With a wealthy philanthropist funding her tour and her cavalry comrades and Pinkerton agents watching her back, Jana determines to see her commitment through. She especially refuses to give up when it appears her absence from home is making Keeley's heart grow fonder for her. But a real threat of assassination looms over her. Will Keeley come around to Jana in time to reconcile their love? Will Jana elude death again? 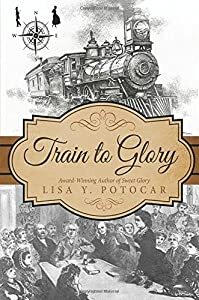 In her sequel to Sweet Glory Lisa Potocar masterfully interweaves adventure romance and suspense into a sweeping portrayal of the women's suffrage and equal rights movement and the courage of key figures in history. 15-year-old Elizabeth Yale clings to life. Her plan to save The Whizbang machine backfires. As her grandfather Jack feverishly works to save her, the Whizbang factory begins to topple down around them. Narrowly escaping, the pair realizes The Whizbang Machine is missing. 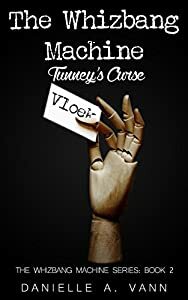 As Tunney's Curse rages out of control, no one in the quaint Dutch town of Leiden is safe, and no one is free from suspicion either. 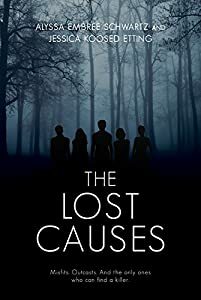 Jack and Elizabeth must follow the clues Elizabeth's deceased father, Jesse, left behind to unravel the secrets of George Tunney's shady past and stop the curse. This all must be done before Elizabeth's mother's 40th birthday―which is mere days away. As they dig, the pair, alongside Detective Henry, are sent on a wild chase that takes them into the dark underbelly of the Netherlands, into the city's canals looking for a sunken clock, through the private chambers of a Queen, and into the dark face of danger. Each new secret exposed only deepens the mystery. 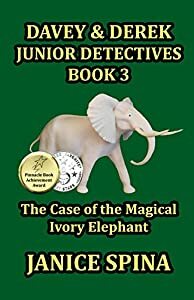 Will they gather the clues and stop the curse in time? Is someone among them really working for the other side? Will someone fall to the curse once and for all? "She died within seconds of falling. She could see the shadows that went with the echoes of screams from up above, but the patterns of light and the fading sounds were nothing more than that. There was not time to think about them, to name them or to say, 'There's lovely', but that is how she felt in those last moments of her life." 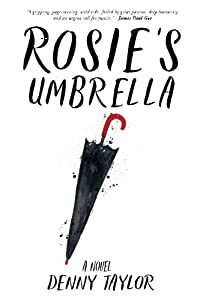 Rosie’s Umbrella is about love and loss, forgetting and remembering, losing one’s self and becoming someone you never knew or imagined being. We meet 14-year-old Rosie Llywelyn in Boston in 1995 at the moment her life is changed forever by a tragedy that occurred in a coalmining village in Wales in 1955. From the very first page the reader experiences the emotional turmoil Rosie feels as she tries to find out what has happened to her Aunt Sarah and why her parents won’t tell her why they have had Sarah committed to a psychiatric unit in a nearby hospital. As Taylor engages the reader in Rosie’s tragic family story of guilt and forgiveness, she falls into her own family history, and the reader falls with her – as she exposes the cruelty of governments, the wounds of being lumpen, the exploitation of poor families and children, and the trauma of the forced migration of hundreds of thousands of miners and their families from the Welsh coal mining valleys in the first half of the twentieth century. As Rosie struggles to find her own truth with the support of her teacher and friends in school, she realizes another family tragedy is about to happen. Falling faster now through the pages, Taylor makes sure readers stay on the page with Rosie and her friends through their political awakening to the devastation that power and privilege has on poor people, and to their own vision for the future. Until, filled with love, laughter, and the will to survive, they are ready for the struggle that they know lies ahead. Rosie's Umbrella is a moving meditation as well as a novel, one that crosses continents and time in order to explore the ways in which the ghost of things past, dramatic and disturbing, can go on affecting lives into the future. I read it in a single sweep, and recommend you do the same.” – Geoff Ward, Principal of Homerton College, Deputy Vice Chancellor at the University of Cambridge.